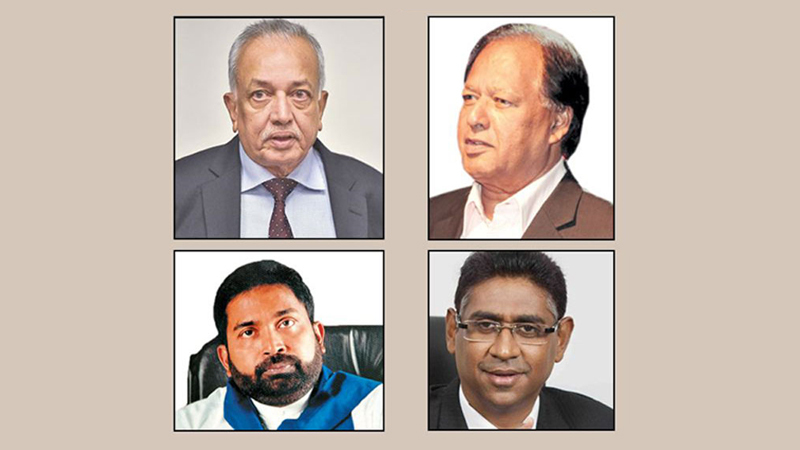 Four Ministers were sworn-in as Acting Ministers to fill the vacancies created by the resignations of SLFP Ministers who voted in favour of the No Confidence Motion moved against the Prime Minister. They were sworn in before President Maithripala Sirisena last evening.These Ministers will serve as Acting Ministers in addition to their present Cabinet portfolios until a complete Cabinet reshuffle takes place after President’s return from London. The President is expected to leave for London on April 16 to participate at the Commonwealth Heads of Government Meeting which begin on April 16. Development Strategies and International Trade Minister Minister Malik Samarawickrama has been appointed as Acting Minister of Social Empowerment and Labour and Upcountry Heritage while Power and Energy Minister Ranjith Siyabalapitiya was sworn in as acting Minister of Disaster Mangement before the President yesterday. Local Government and Provincial Councils Minister Faiszer Musthapha took oaths as Acting Minister of Sports while Minister of Special Assignments Dr. Sarath Amunugama took oaths as Acting Minister Skills Development, Vocational Training and Science and Technology.